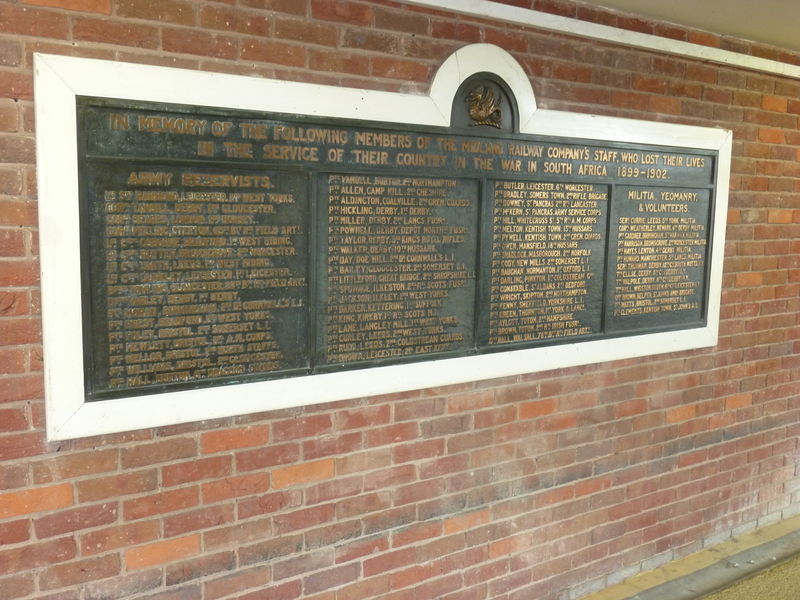 Members of railway staff have always responded to the call of their country in times of war, and sadly many members of railway staff died on active service. 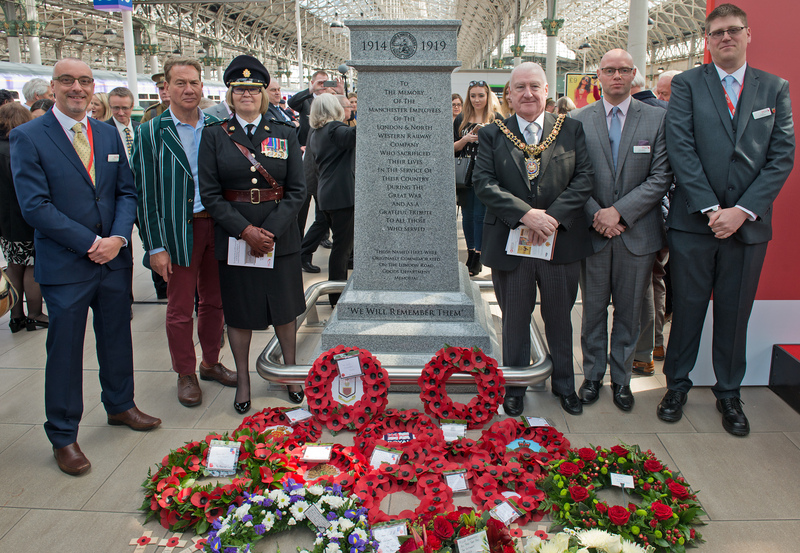 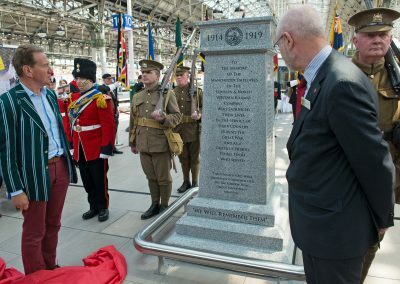 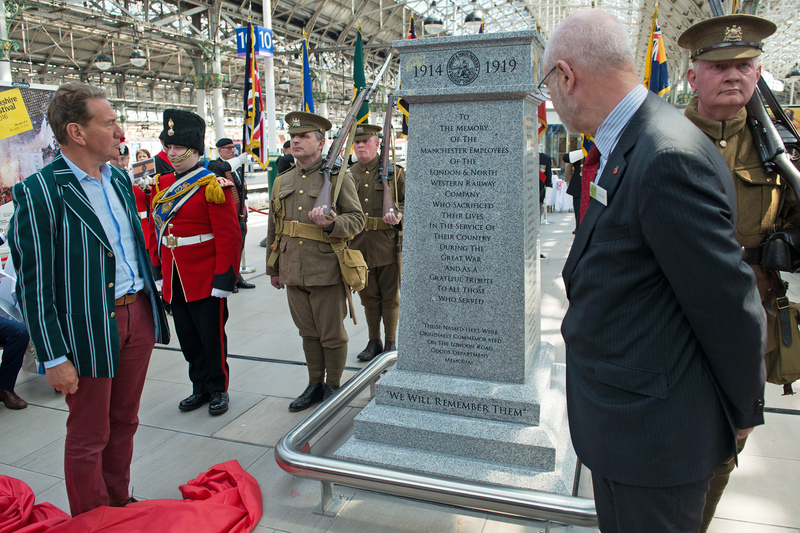 As a result Britain’s railway companies have honoured their fallen staff with a large number of war memorials. 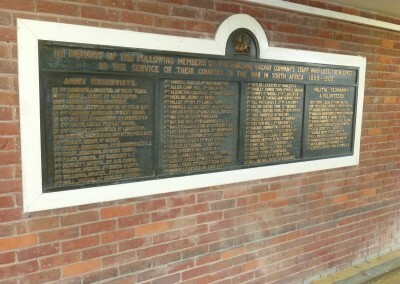 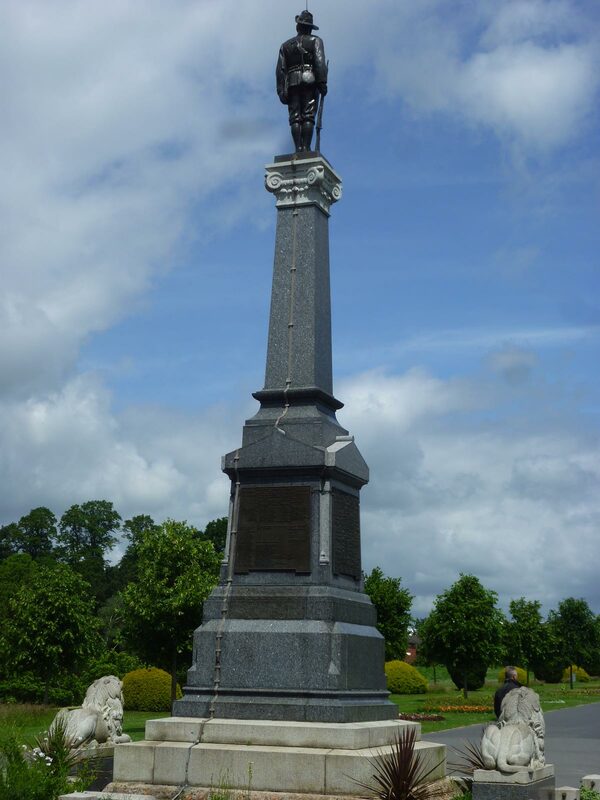 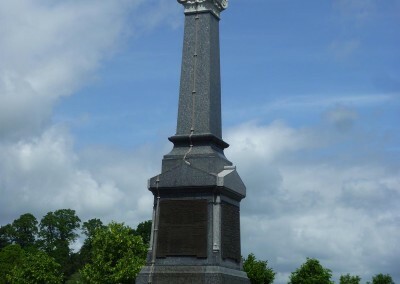 The oldest such memorials date to the Boer War, but few survive from that period. 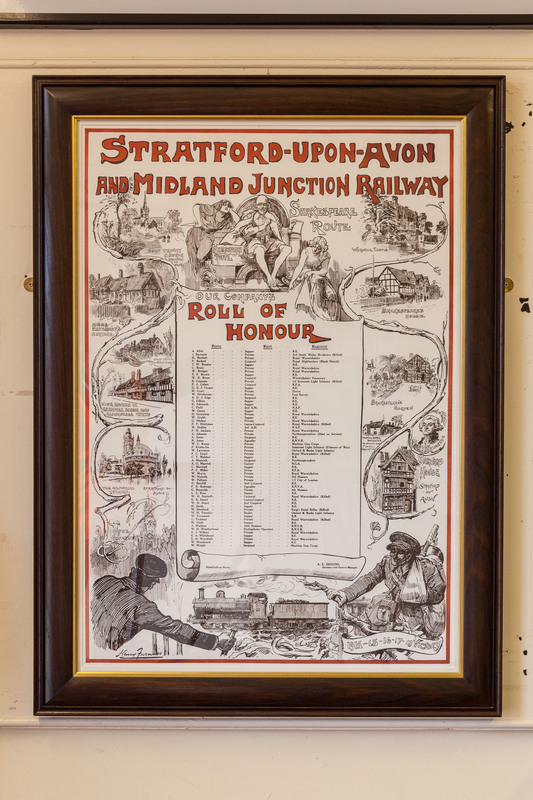 The most noticeable are those of the Midland Railway at Derby Station, and the London & North Western Railway in the Queen’s Park in Crewe. 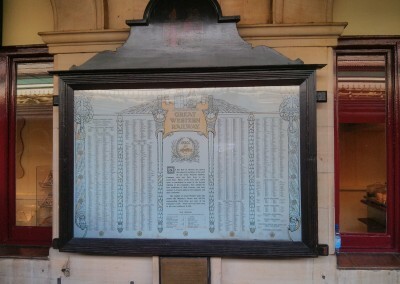 In the First World War somewhere between 20,000 and 30,000 railwaymen died, and they are honoured in a series of war memorials. 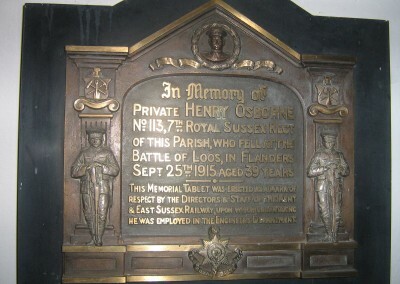 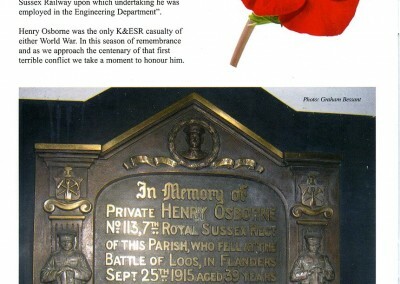 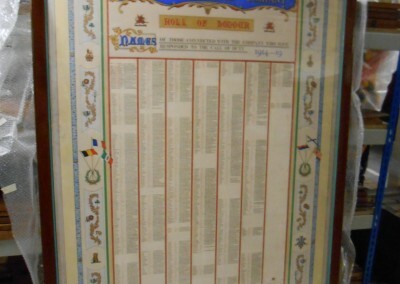 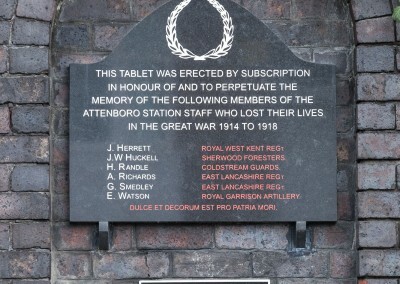 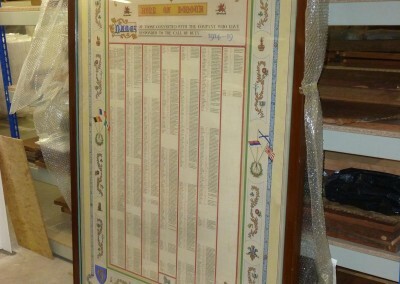 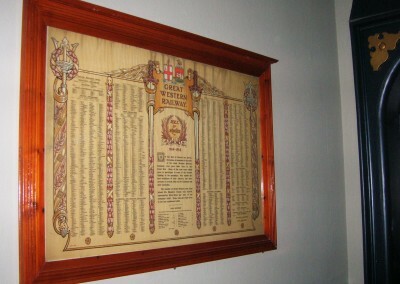 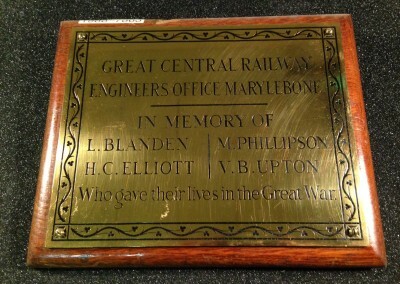 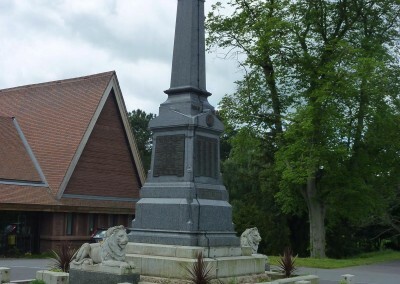 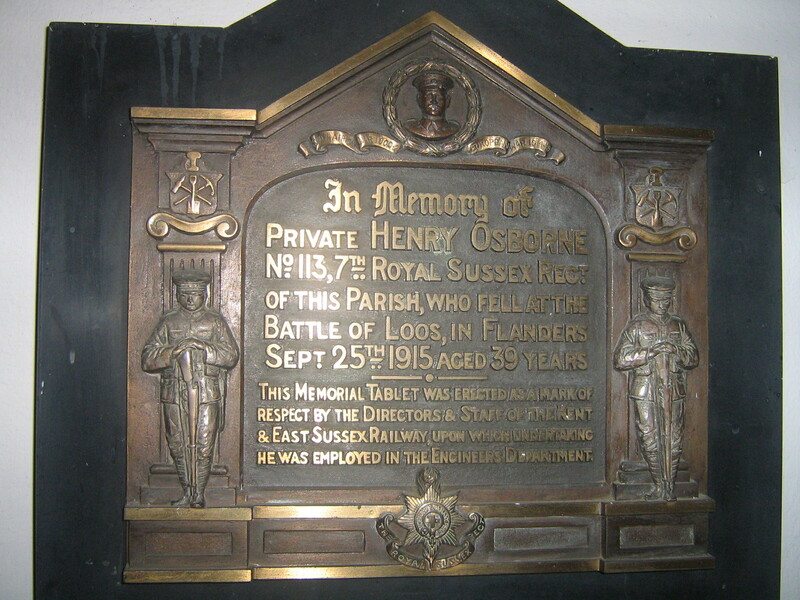 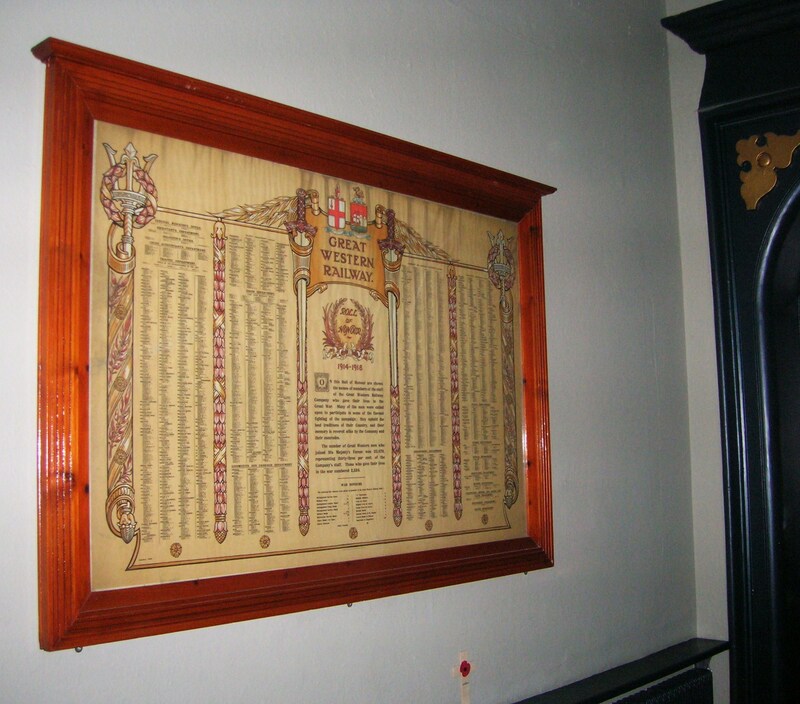 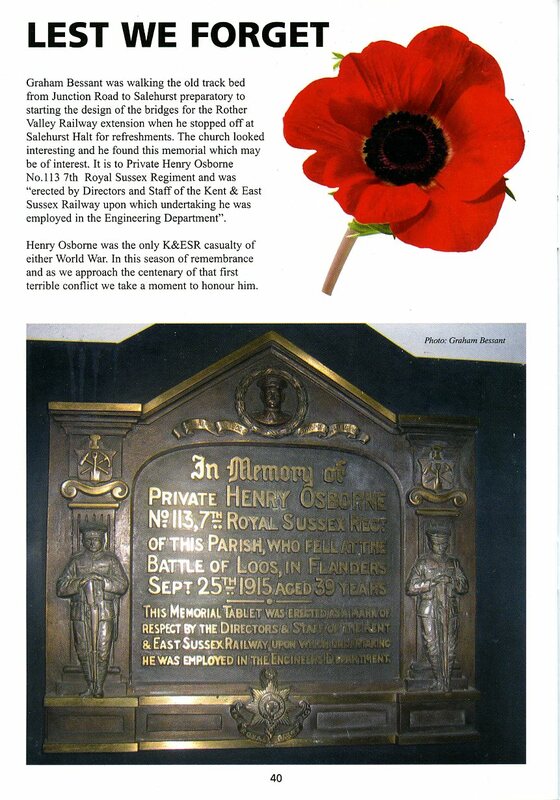 Most of the companies that existed at that time created memorials for their staff, varying from the grand Lutyens memorials of the Midland Railway in Derby and the North Eastern Railway in York to a simple plaque in Salehurst church commemorating the single member of the staff of the Kent & East Sussex Railway who was killed in the Battle of Loos in 1915. 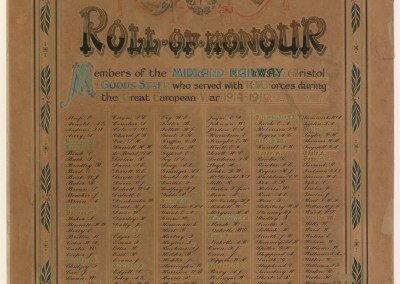 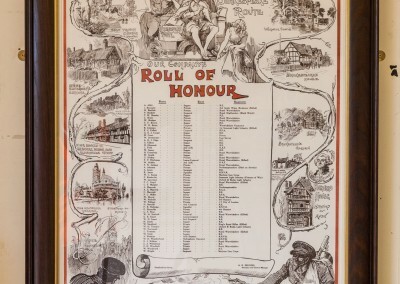 In addition to these there were many local memorials paid for by local staff, and some railways, noticeably the Great Western, created Rolls of Honour, recording all their staff who fell in the war, which were placed in major stations around the system. 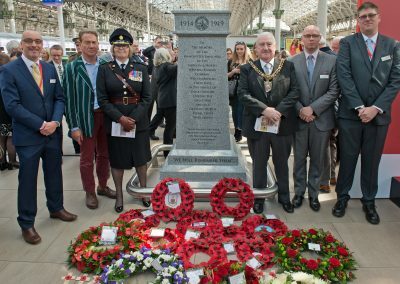 In the Second World War far fewer railway staff lost their lives on active service; those who did are generally commemorated on the main memorials of the ‘Big Four’ railways. 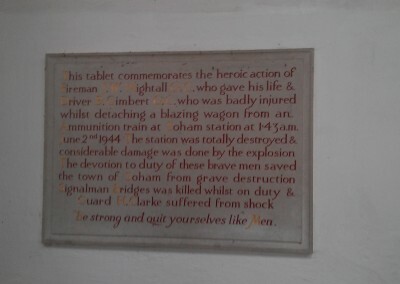 However, more railwaymen died in bombing raids, and in other ways on duty at home, and there are several local memorials to many of these people, such as the driver Gilbert and and fireman Nighthall who, in June 1944, heroically uncoupled a burning wagon of bombs from its train, and drew it clear of the village of Soham saving many lives, although Nighthall lost his own, and Gimbert was severely wounded. 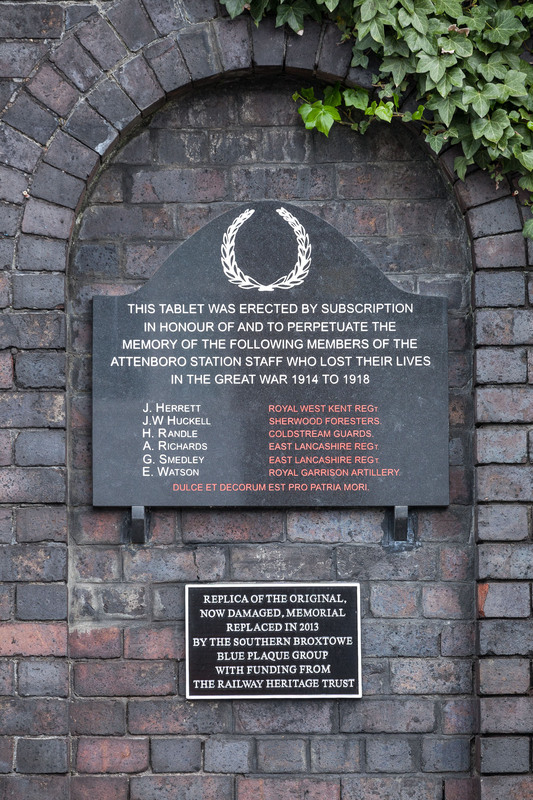 In the five years leading up to the centenary of the outbreak of the First World War the Trust, using money from a legacy, has worked with the industry and with the Imperial War Museum’s War Memorials Archive to identify and record all the surviving railway memorials. 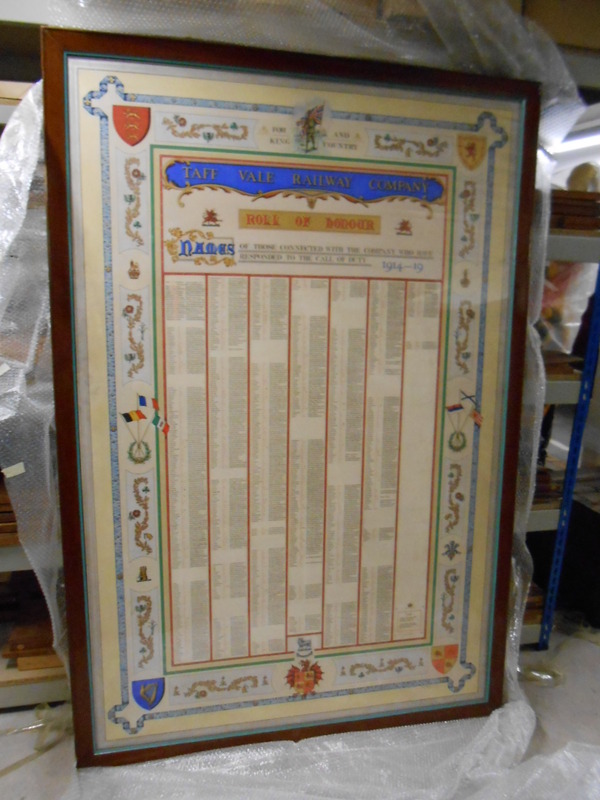 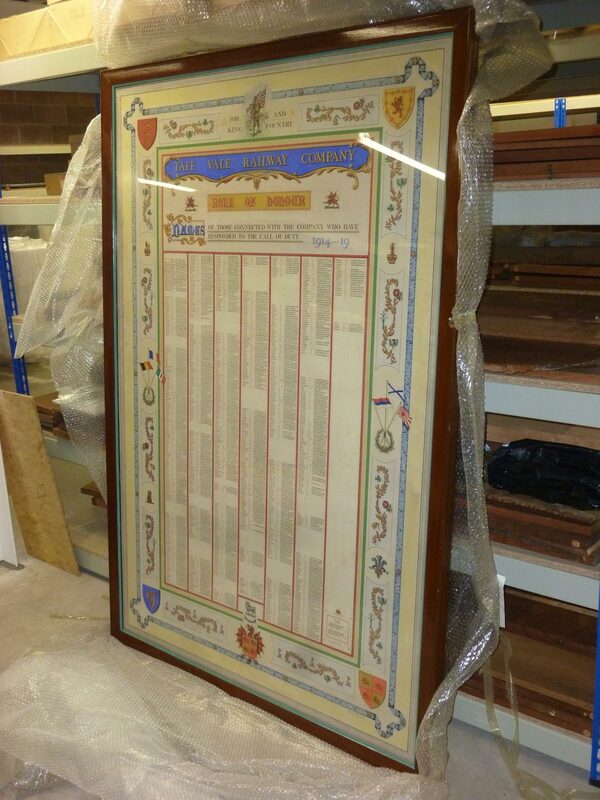 We have found several paper memorials in museum and private collections, and been able to arrange for copies to be displayed at appropriate locations, including Cardiff, Stratford upon Avon and Bristol. 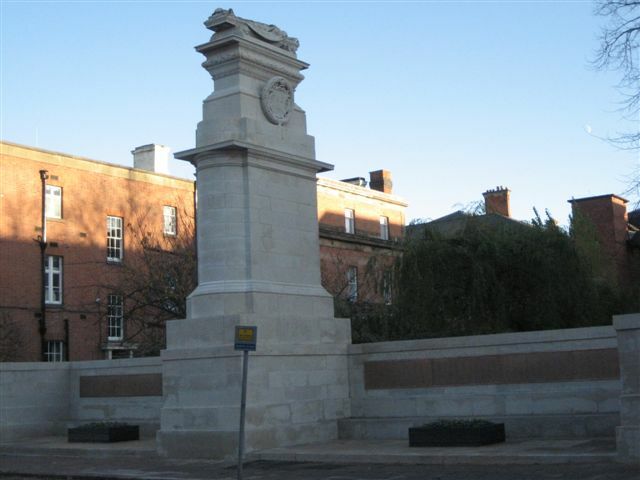 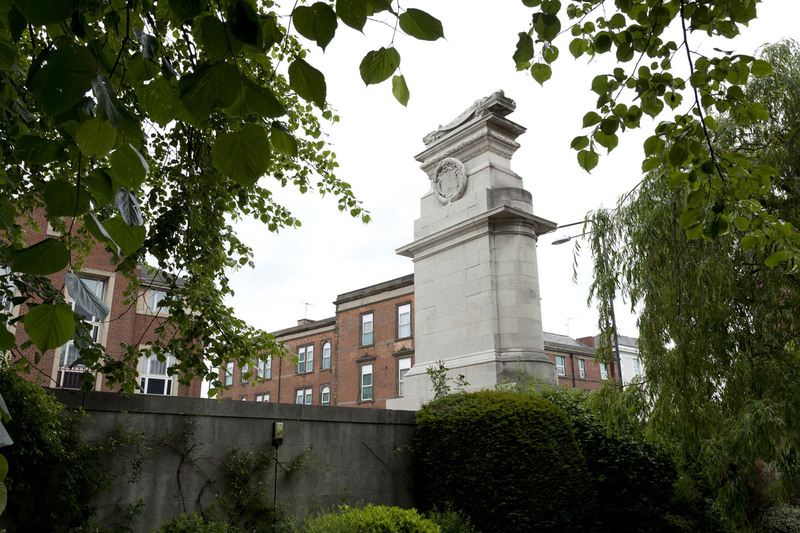 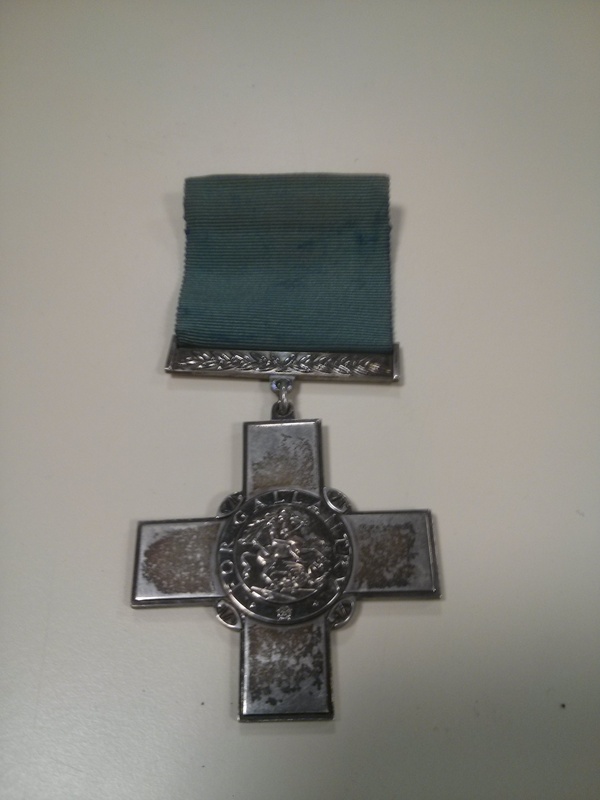 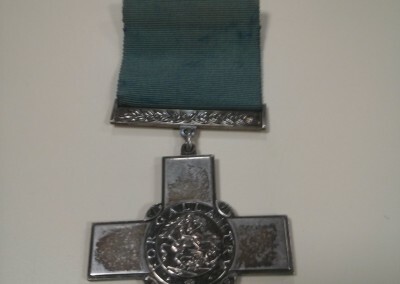 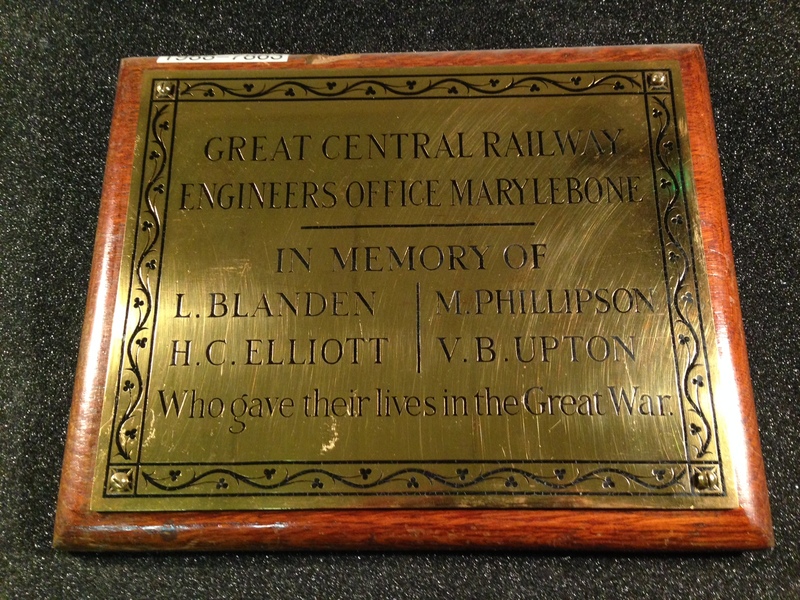 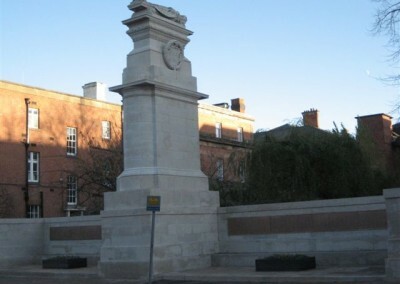 We have recovered one memorial that had moved (unofficially) to a private collection, and we have also funded the recreation of lost stone and metal memorials at Manchester Piccadilly, Marylebone and Attenborough. 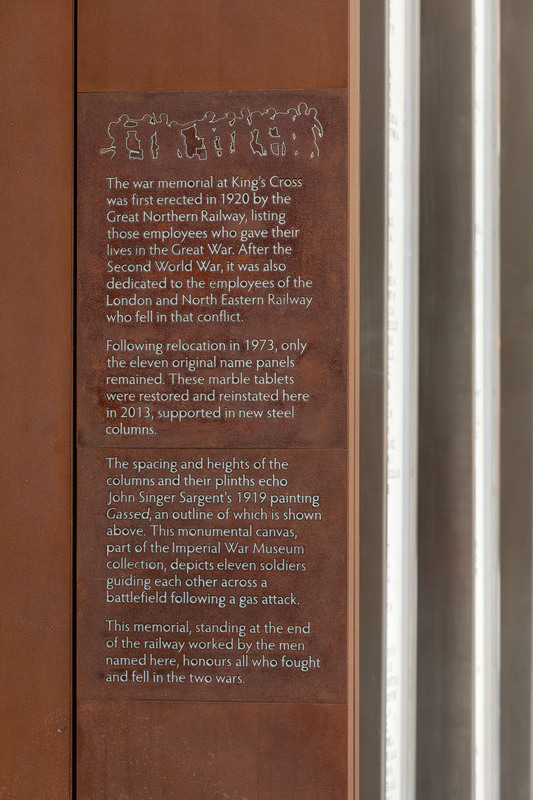 We have also worked closely with Network Rail to restore the Great Northern Railway memorial at Kings Cross, and to ensure that the eight railway staff whose outstanding bravery led to them winning the Victoria Cross are suitably commemorated by the industry. 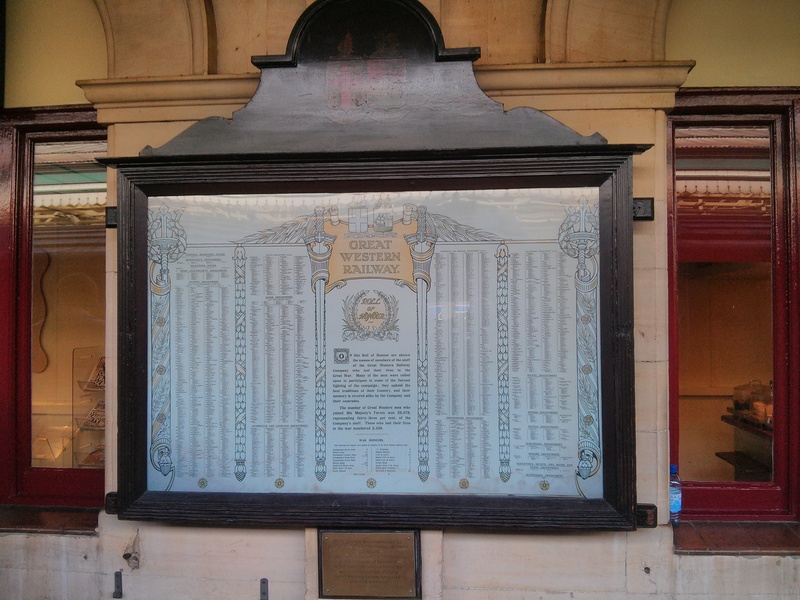 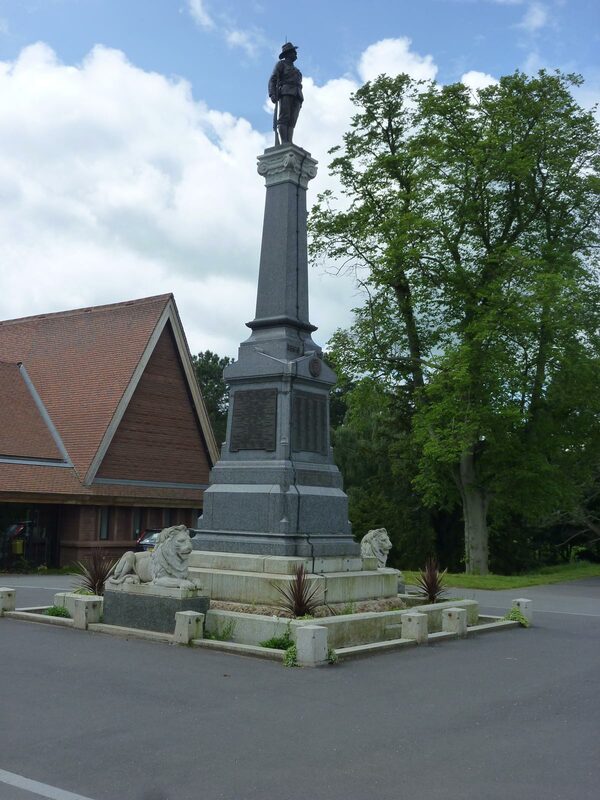 We hold a list of all the ‘Railway’ war memorials of which we are aware, and are always willing to help researchers locate the memorials of a particular railway. 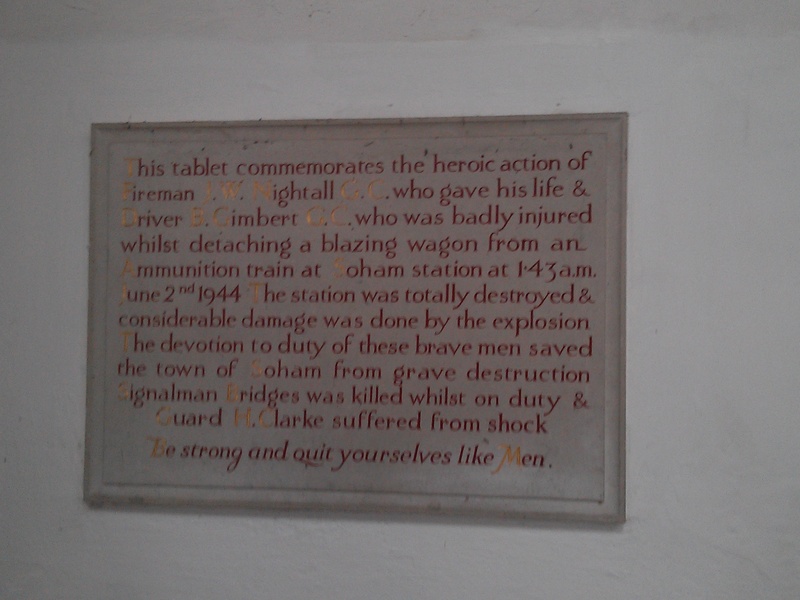 We would also be delighted to hear of memorials to railwaymen that you may think we do not know of. 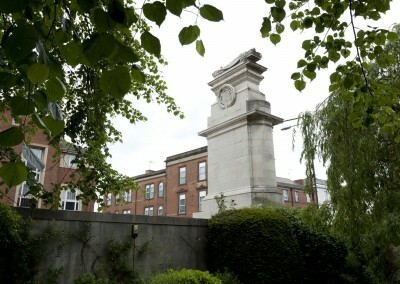 You can contact us here. 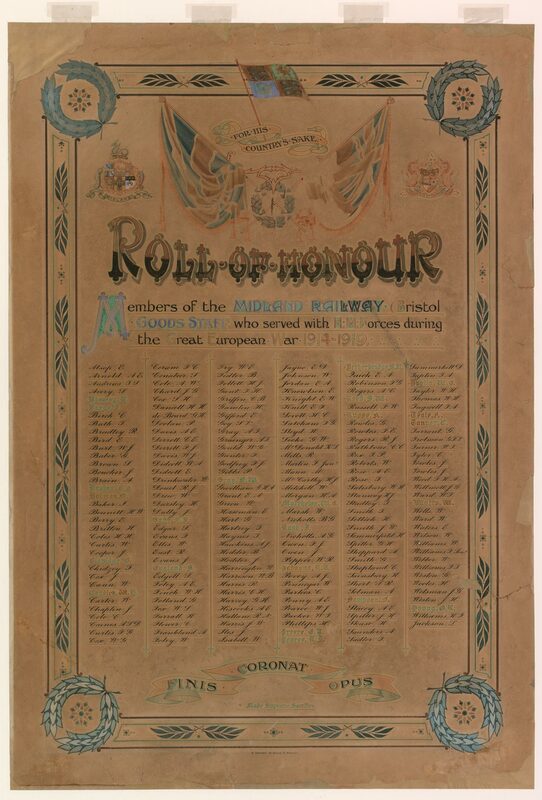 However, we do not hold records of the names of those railwaymen who fell: you can access a full list through the National Railway Museum. 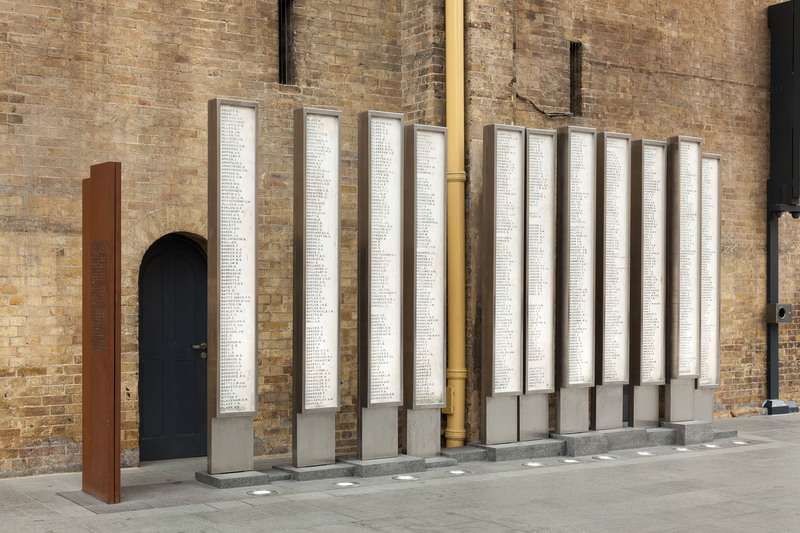 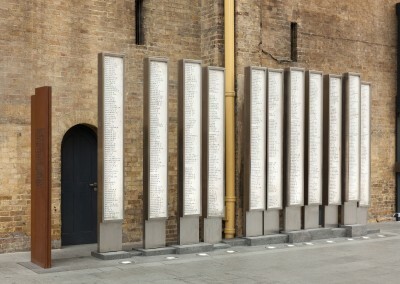 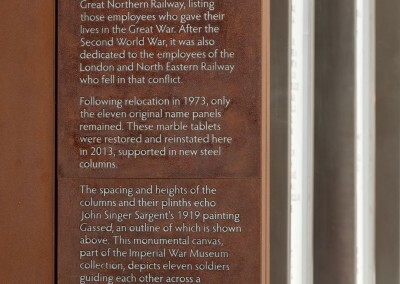 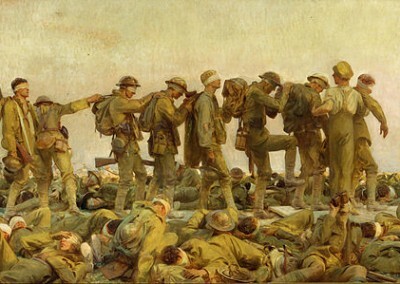 Great Northern Railway memorial at Kings Cross unveiled 2013 – spacing based on gassed painting, also included.